Just outside of Villa Notman is the Three Queens Fountain. 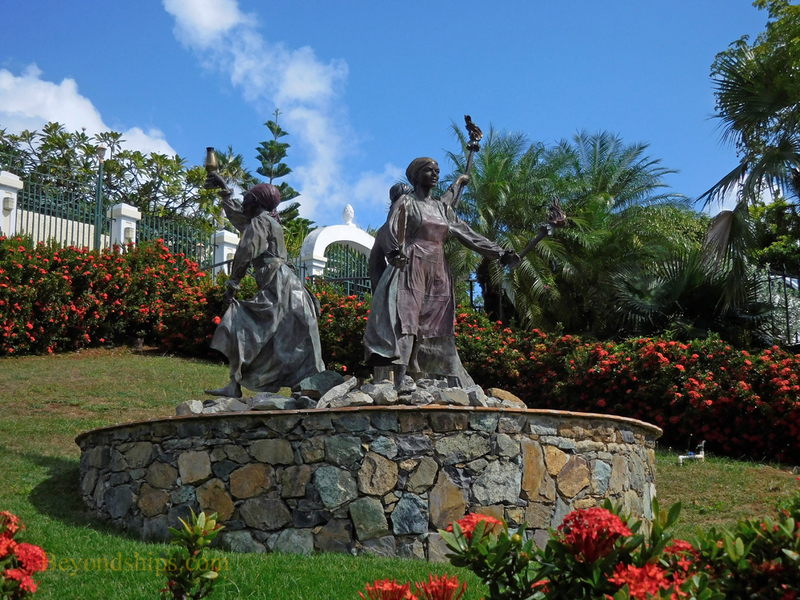 It commemorates an insurrection in 1878 led by three women known as Queen Mary, Queen Agnes and Queen Josiah. They successfully demanded better living and working conditions on the island. Proceeding down the hill, you come to the 99 Steps. 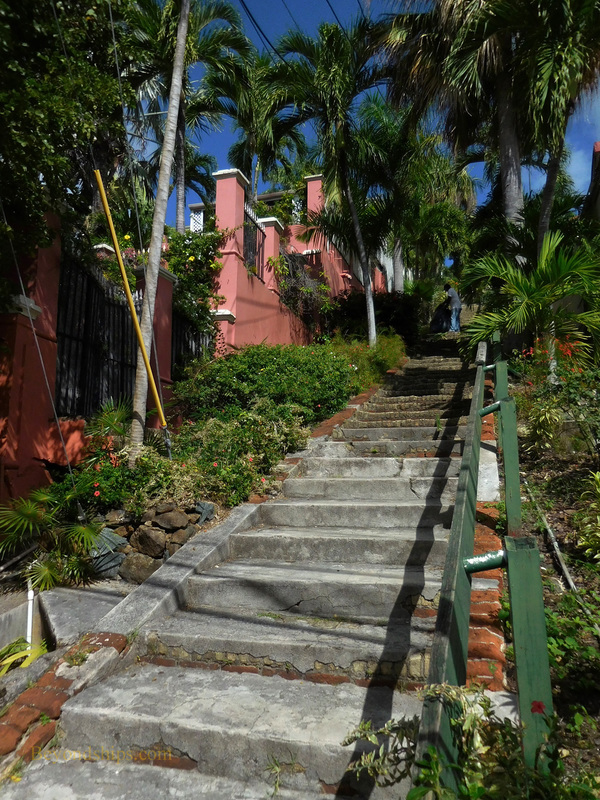 Constructed when the island was still ruled by the Danes in the 1700s, the steps were intended to make it easier to go up and down this steep hill. 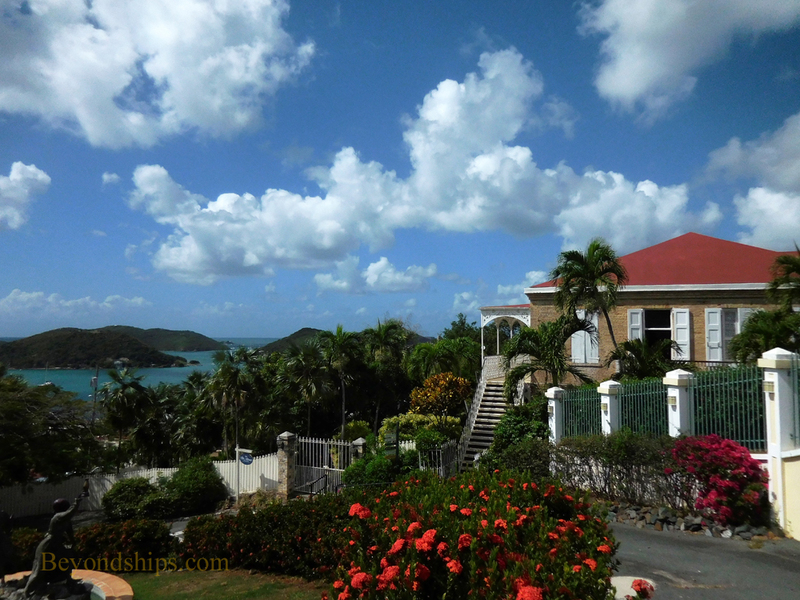 Made out of bricks that were ballast in sailing ships that called in Charlotte Amalie. There are actually more than 100 steps but who is counting? 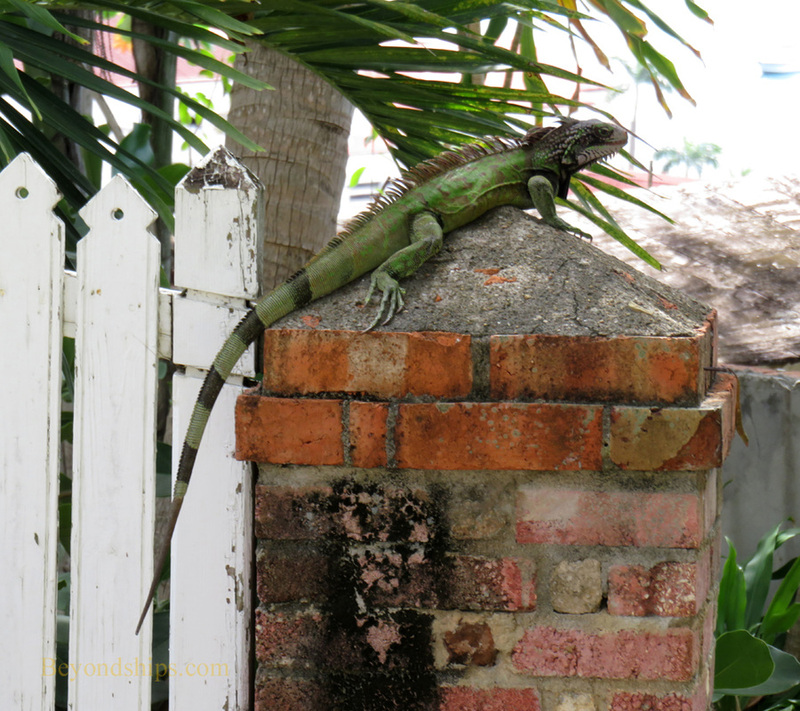 Walking around the Kongens Quarter keep an eye out for its great views of the harbor and for the iguanas that populate the area. Turning right at the bottom of the steps, you come to Hotel 1829. 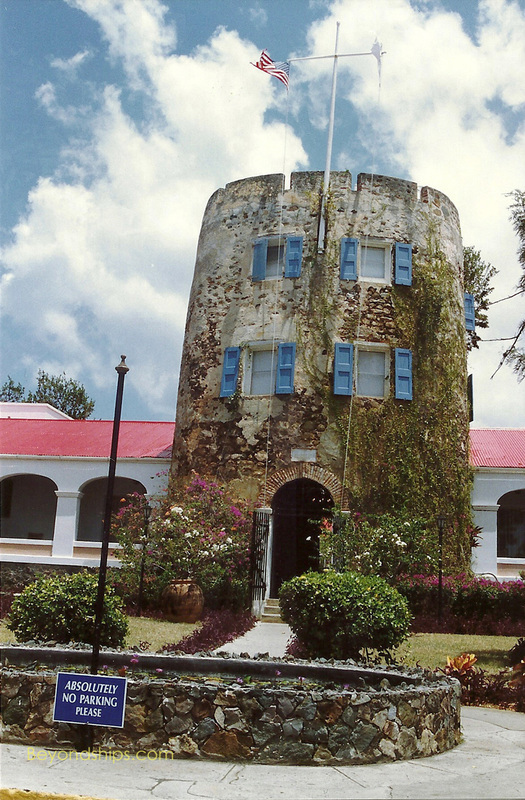 As the name implies, this structure was built in 1829 for a French sea captain. It became a hotel in 1900. 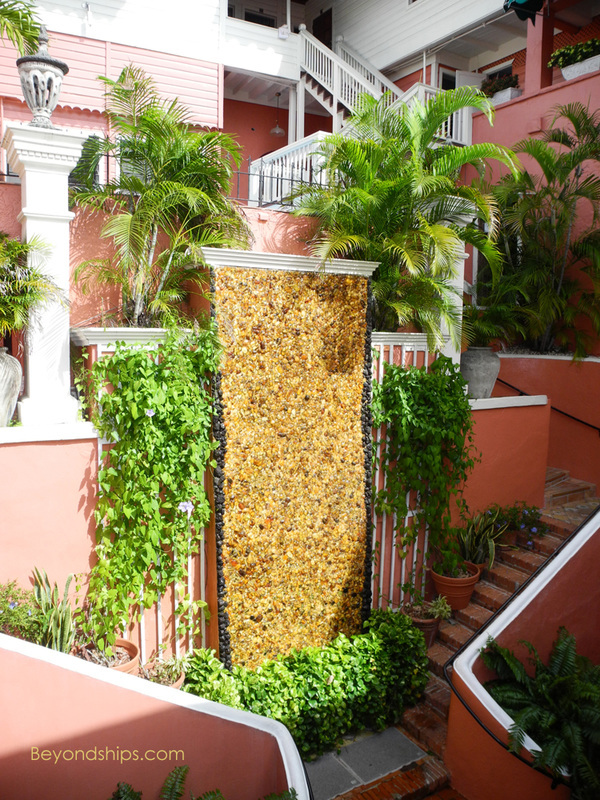 Inside the hotel's courtyard includes the Amber Waterfall, which includes some 12,000 pieces of amber. 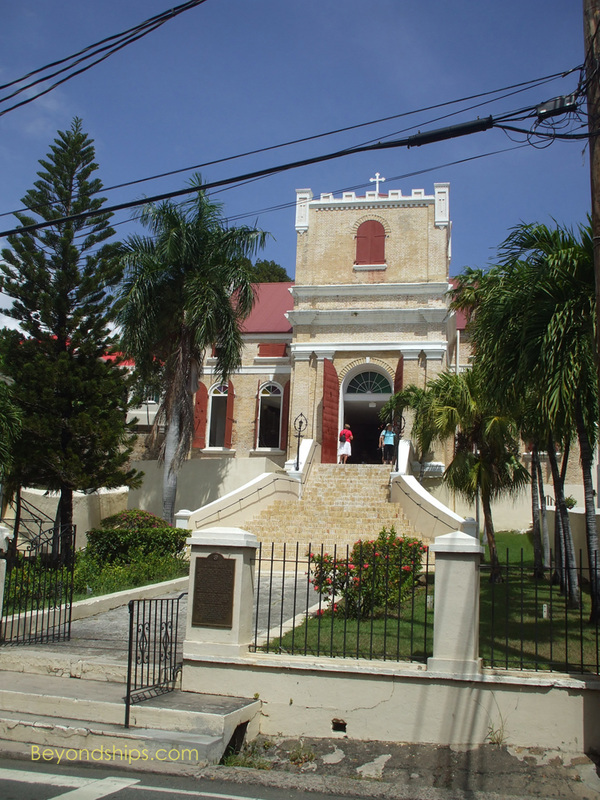 From Hotel 1829, it is a short walk to the Emancipation Park Post Office and Emancipation Park. (See article on exploring the King's Wharf area). Elsewhere in Konggens Garde - - The Lutheran Church (above left) is the oldest church building in St. Thomas. It dates from 1793 but was refurbished in 1826 and 1870. Another Danish watchtower built in 1689 is now known as Bluebeard’s Castle, after another legendary pirate (above right). It is now part of a hotel and resort.